What is the one datum every Scientologist can communicate to family, friends and the world—a datum that in the space of minutes can transform apathy to enthusiasm and immobility to action? In a lecture that has attained the status of legendary, L. Ron Hubbard provides his immortal answer. As its truth and freedom ring out across the planet, they inspire positive changes in every corner where they are heard. What is the one datum every Scientologist can communicate to family, friends and the world—a datum that in the space of minutes can transform apathy to enthusiasm and immobility to action? What one message is so powerful it will blast open communication channels for the swift dissemination of vital technology? What single declaration, repeated in a thousand ways, on a million fronts, will lift the eyes and revive the hopes of the billions on Earth? In a lecture that has attained the status of legendary, Mr. Hubbard provides his immortal answer. As its truth and freedom ring out across the planet, they inspire positive changes in every corner where they are heard. 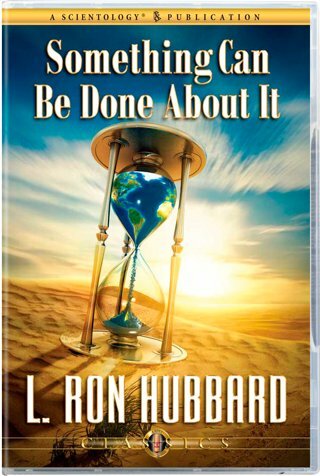 Here, then, is both an eternal L. Ron Hubbard message and a lasting call to action.